Welcome to our paddle sports department. We carry Aquaglide Boards, Necky Kayaks, Ocean Kayak and Old Town Canoes & Kayaks; Point 65N and Seaward Kayaks; Life Jackets, Paddles and Safety Gear. 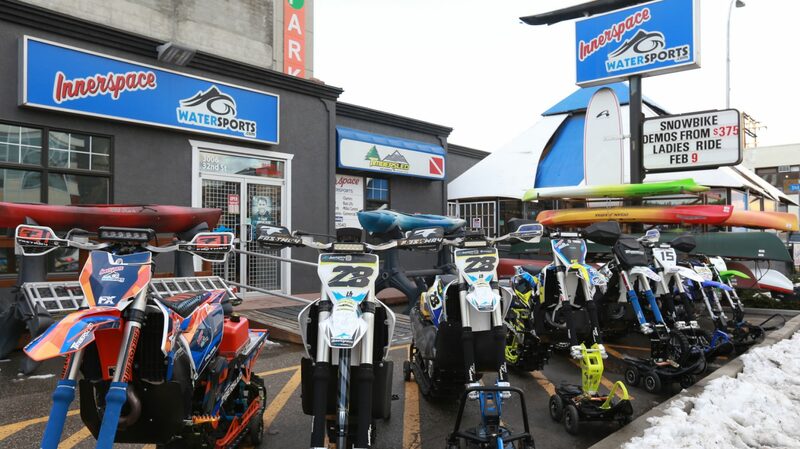 For all kayak products purchased from us at either stores in Vernon or Kelowna, we offer unique trade-in-options. Any boat purchased from us can be traded in to either up or downgrade in models or brands. Call for more information. Click on either brand names below or choose from the drop-down menu above (Paddle Sports) to see individual models and specifications. More accessories are soon to be listed….